Craftsman-style homes are known for charming details like low-pitched gable roofs, wrap-around porches, square pillars, and brick or stone accents. If you have this style of home, you want to choose windows that have design elements that complement the architecture. Murphy Home Improvement in Cincinnati, OH, offers an array of remodeling services and products to upgrade your home, from doors to siding. They suggest you consider specific design elements to choose the right window style for your house. 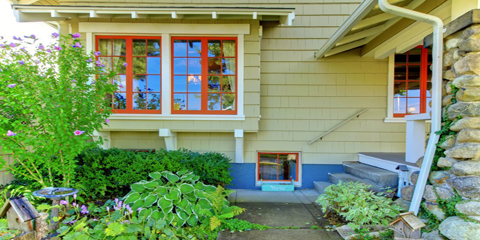 The best window shapes for craftsman homes are rectangular, square, and eyebrow. Rectangular windows work well with most homes, and they can be topped with eyebrow windows — which have an arched, narrow shape — to add a stylish accent. Stand-alone eyebrow windows and square windows also provide visual interest, especially on upper levels. Transoms, which are thin, rectangular windows placed over doors and other windows, are another decorative option, especially when made with stained glass. Double-hung windows offer top ventilation because both panes move up and down. Double-hung windows in craftsman-style homes often are set with bars called muntins, which divide the upper sash into sections with multiple glass panes while the lower sash is muntin-free. The trim around windows in craftsman homes often is wide to balance common design elements like stocky pillars and an overhanging roof. The window trim and frame can be painted in different colors to create contrast. Craftsman homes were designed to demonstrate the advantages of man-made products over machine-produced items, so wood was used to create many striking details. Elements like windows bring out this natural accent. Fiberglass windows can be made to resemble wood versions if you want a high-performance, modern alternative. To highlight the wood accents of a craftsman home, wood stain is a better choice than paint because it enhances the appearance of the grain. Stick to natural colors for window frames that contrast yet complement the other natural tones of the house. For more than 30 years, Murphy Home Improvement has been a leader in home exterior projects in the Cincinnati area. Whether you require window installation or siding, they have the products and skills to make your home look beautiful. They even offer a 10% discount on your windows and doors when you bring your home’s measurements to their showroom. Call (513) 922-8989 to discuss your project and visit them online to view a gallery of their work.